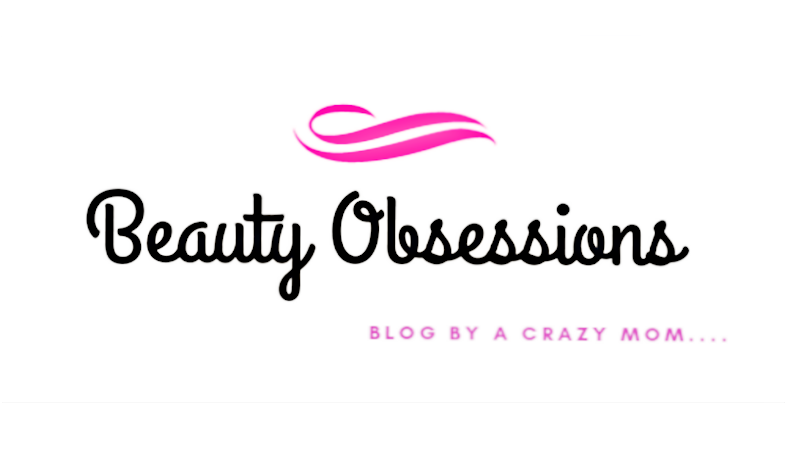 If you are a regular visiter of my blog, then you must have an idea that how much I love doing nailarts than any other thing .. 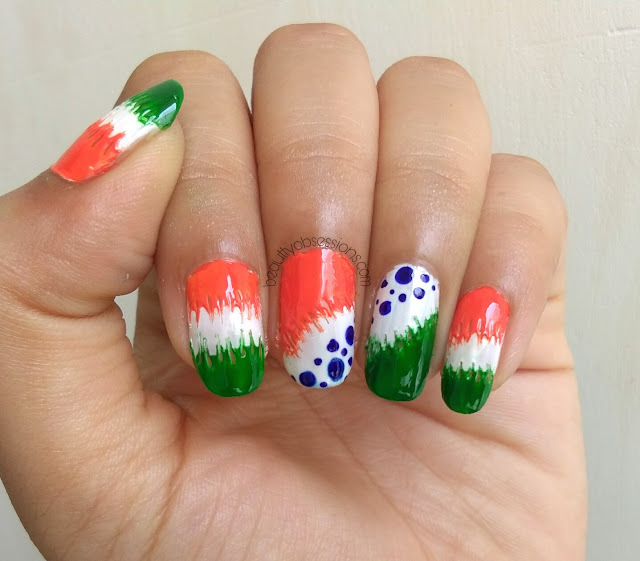 So to continue this love, I am going to draw an Independence Day 🇮🇳 inspired nailart which is very easy and a no-tool nailart... One can easily recreate this.. 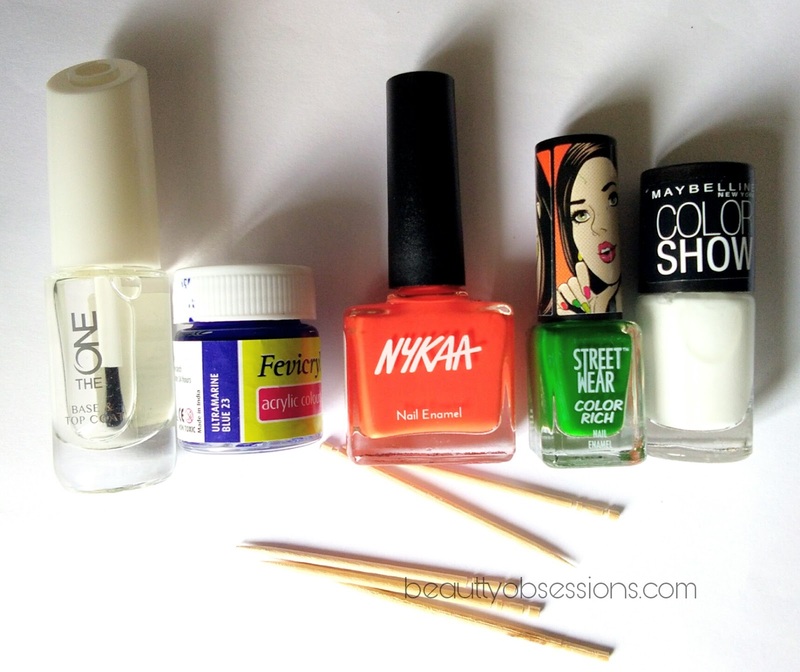 So let's get into the tutorial..
1- First paint the nails with white nail polish after applying a layer of clear base coat... Then wait to dry 80% ..
2- When the white polish is still a little wet, apply the orange polish at the top 1/3rd and green polish at the lower 1/3rd . 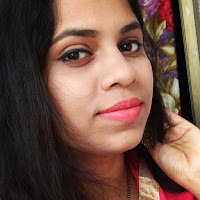 Don't apply much polish, hence it will be a mesh..
3- Now take a toothpick and started dragging the shades in outward direction... Refer the picture and you will get a clear idea... Here I have shown my thumb nail..
4- Then in the same way, paint the other nails. 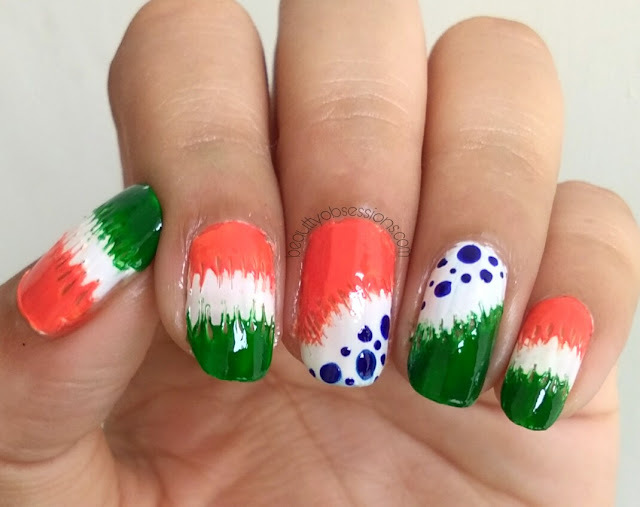 On the middle and ring nails creat a different pattern... Just paint the orange polish in slanted pattern on the top half of the middle nail and in the same way the green polish on the lower half of the ring nail. 5- And then started dragging outwards using a toothpick. Now put blue random dots over the white part of the two nails. 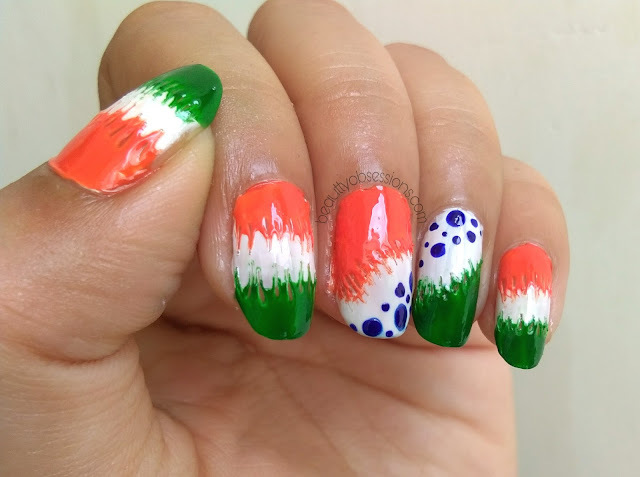 See my other #IndependenceDay nailarts..
Hope you enjoyed this easy to create Independence Day inspired nailart... See you soon with some more amazing creations..
Let's welcome my awesome blogger friend Ruchie of wigglingpen.com to this #BlogToFreedom blog train and see, what she has to share with you all... 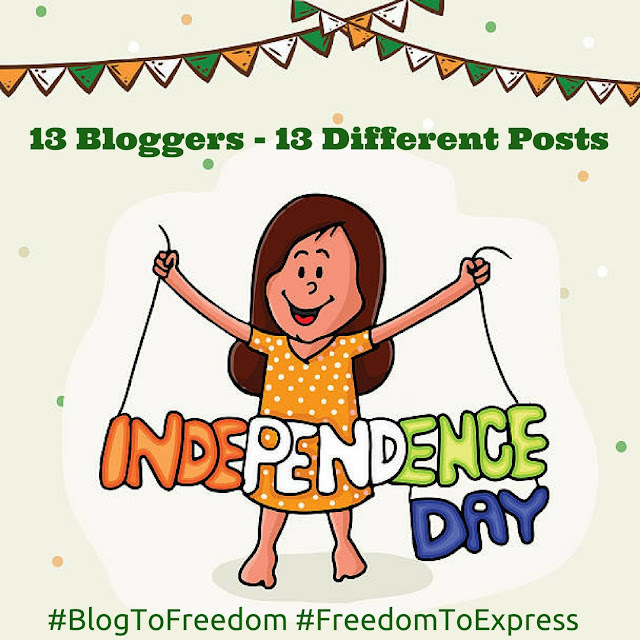 Follow her on Facebook, Twitter and Instagram to stay updated..
Jay Hind! Clean, crisp and beautifully done nail art. Totally in love. 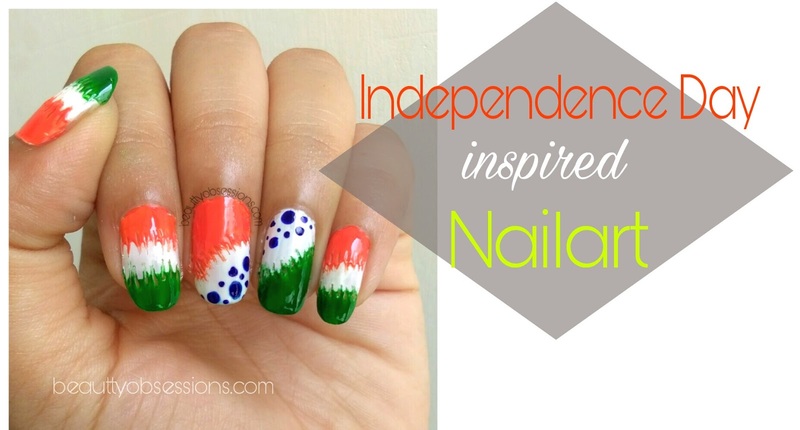 Wow this independence theme nail art seems amazing. 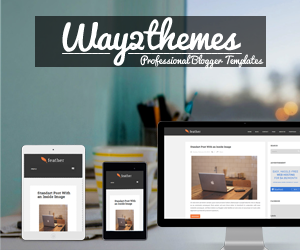 Beautifull colour combinations and design. Fabulous job. Wow. 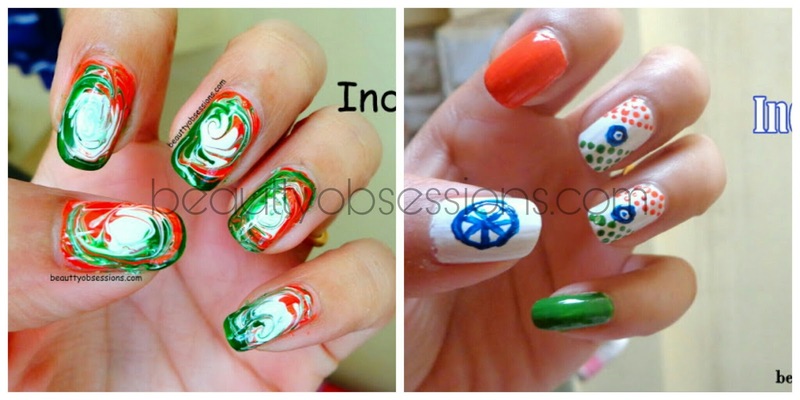 I love the nail art though. This is really very pretty and amazing. This looks amazing and you've made it seem so simple.. Im gonna try it soon! Beautiful. 😍 even i was thinking to do such a nail art post since independence day is approaching.. 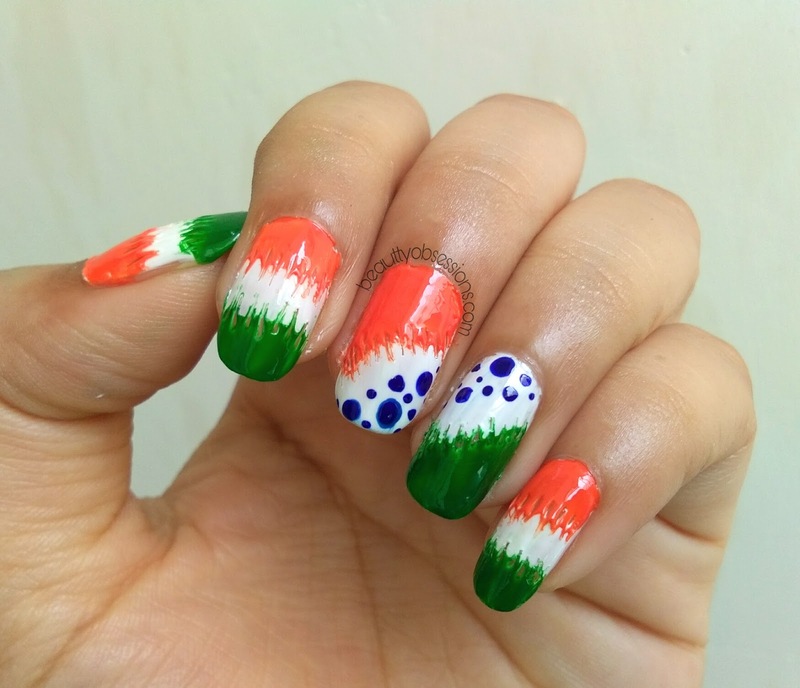 I simply loved the idea of independence day nail art. It's a fantastic work. Such colorful looking posts this is. Your nails are looking so beautiful. The smudging is perfect! Well done!! Jai Hind,I love your independence day love which you are showing via lovely cute nail art. thanks for sharing. I like the thread work almost like stitches feeling the colours end with. The nail art looks amazing. In today's time when everyone co-ordinates their cloths, hair & accessories with the occasion, it's must to even co-ordinate the nails. 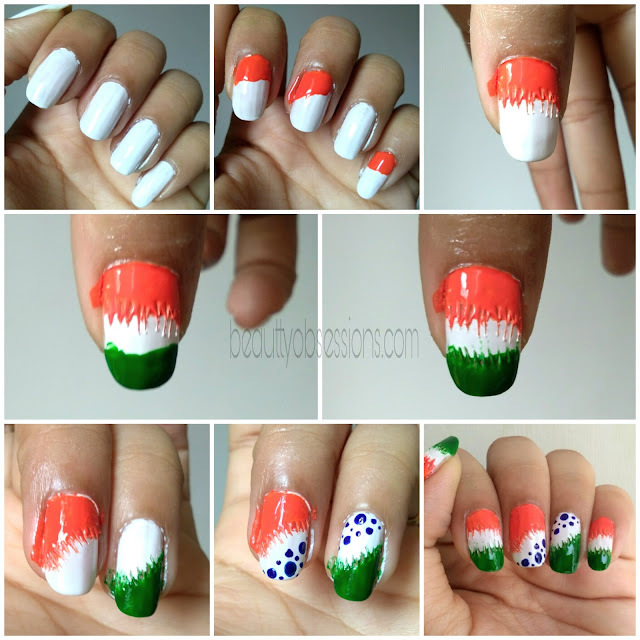 That's an interesting design and easy to do :) I am going to try it out as i think it will look good on short nails too.